Alexander Miller cooper of Achow died 4th June 1912 aged 81. 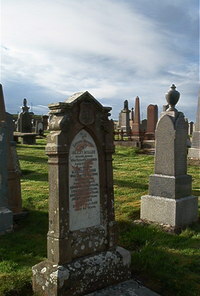 Wife Margaret Ross died 17th July 1904 aged 74. Daughter Johan Miller aged 33. Daughter Annie Miller died 8th May 1945 aged 85. I am the resorection and the life.